Home › FAQ › What Should Be Included On a Resume For a First Job After Graduating College? It’s difficult to know what should be included on a resume for a first job after graduating college. You have to determine if employers are interested in the classes you took, the places you volunteered or the hobbies you developed, but how can you know for sure? The good news is that most employers want to see the same type of information. As a recent college graduate, it’s likely that your biggest selling point is your education. Thus, the first entry in your resume should list your degree, university, and years attended. If your GPA was high, it’s a good idea to include it during your first search. The education category should also include any awards, scholarships or honors you received, any research you conducted, and any student organizations you joined. This part of your resume is a balancing act; you want to give employers the impression that you are passionate and ambitious, but you don’t want to overwhelm them with irrelevant information. Try to focus on your biggest accomplishments such as leadership opportunities in school clubs, major commendations you received or volunteer projects you participated in for years. 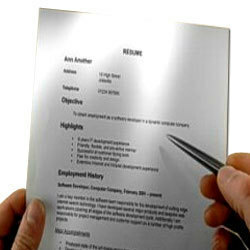 Should You List Specific Classes on Your Resume? In most industries, the classes you took are not going to be relevant to employers. This can be frustrating for new graduates to hear; your degree was an important part of your life for years, so how can it not be important for your job search? Try to remember that most students take the same set of classes – if you’re a psychology major, you don’t have to list the classes you took on mental illnesses, adolescent psychology or neuroscience. Employers understand that you’ll have mastered those topics. The exception to this rule is technical classes. If you learned how to program, how to use a specific set of software or how to fill out grant applications, those are useful skills you should highlight. Some students worry that volunteer work isn’t as impressive as a paid job and shouldn’t be included on a resume. This couldn’t be further from the truth. Volunteering shows drive, passion and a strong work ethic. If you have ongoing volunteer experience, that should absolutely be included on your first resume. However, don’t put a laundry list of every two-hour volunteer shift you had during undergraduate. Try to focus on substantial volunteering you’ve done. In some industries, creativity is valued. If you want to work for an advertising agency or a technology giant, a unique resume can make you stand out and get interviewed, according to Business Insider. In more traditional industries like finance or healthcare, a non-standard resume will still get you noticed, but not in a positive way. If you’re not positive that an innovative approach will make a good impression, use a traditional format and keep the focus on your achievements rather than your design choices. As a new graduate, your resume can include elements that wouldn’t be appropriate if you’d been working for twenty years. Your GPA, work with student organizations or scholarships can be included on a resume for a first job after graduating college on your first resume; you can remove them once you have more work experience to add.